Cold Weather CrownCoat goes on fast and easy with a paintbrush - that's all it takes! Simply put a light coat over the entire crown followed immediately with a thicker topcoat. CrownCoat cures in two to four hours, that's about half the time as other products! 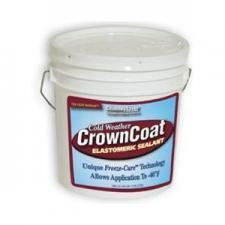 Best of all, CrownCoat comes with a 15 year warranty.